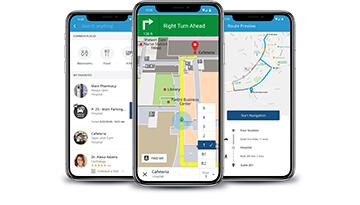 Friday, April 5 from 8:45 a.m. – 9:45 a.m.
Piedmont Healthcare, a $3.8 billon, eleven-hospital system in Georgia developed a mobile wayfinding platform allowing patients to use smartphones to get from home, to the right parking garage, and step-by-step guidance to their destination. PiedmontNow, the system’s experiential wayfinding platform, addresses additional patient experience and clinical improvements beyond mobile wayfinding with features such as emergency department wait times, find-a-doctor directory, access to virtual visits and ability to “Pay My Bill”. Patients’ can access their medical records via MyChart and make appointments in any Primary Care, QuickCare or Urgent Care. Providing this easy access to care via smartphones is a key driver for revenue at Piedmont. Katie Logan’s presents Piedmont Healthcare’s success with developing and implementing an experiential wayfinding platform that provides a one-stop, robust user experience and offers real time analytics for continuous improvements. Planning to attend The Beryl Institute Patient Experience Conference 2019? Visit Gozio at our booth in PX Marketplace Hall or schedule a meeting with Barb Kragor.